My latest blog tells you all you need to know to grow the perfect potatoes in an easy to follow guide. It's gotta be simple, I'm only 5 right! Chit your potatoes on a window sill as soon as you buy them. Chitting just means letting the wee "eyes" grow a bit longer which gives them a head start for when you pop them in the ground. Plant them in the ground about 20cm deep and about 30cm apart. "Earth up" your potatoes as soon as shoots start to appear, raking up the soil around them and covering them back up, protecting them from the sunlight. You will need to do this 2-3 times in the growing season. Feed your potatoes every week, they will grow big and strong, just like me. Early varieties will be ready in 8 weeks, main crops in the summer. 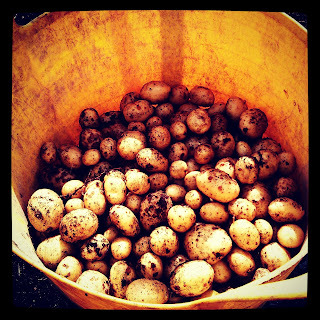 Gently move soil aside to pick your potatoes, you don't need to pick them all at once and they taste best freshly picked. 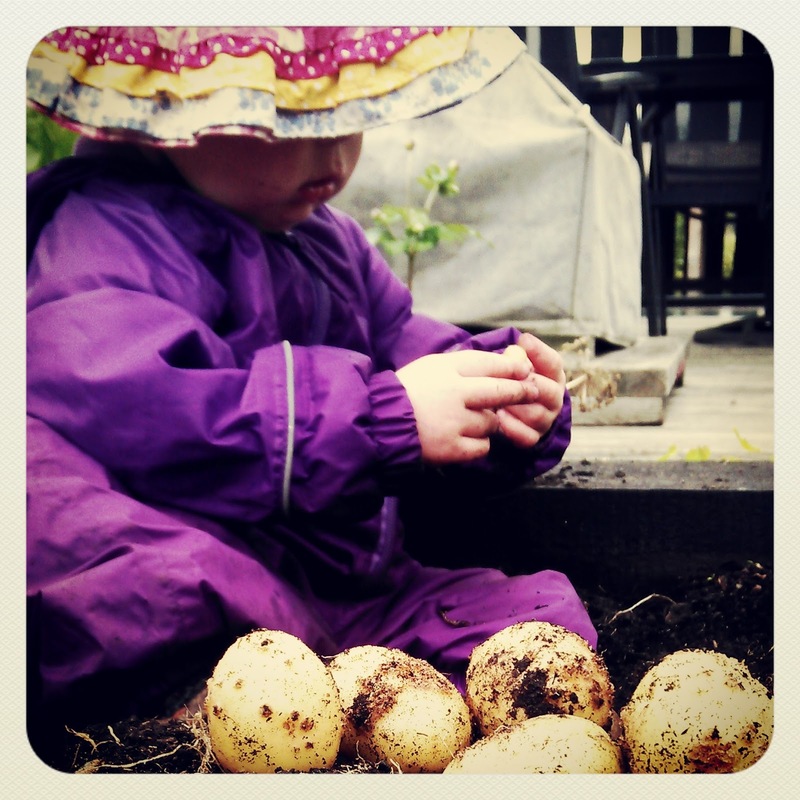 You can grow potatoes anywhere. Veg beds, compost bags, specialist potato bags, old tyres, tall pots, whatever you have to hand. Potatoes need drainage so if you have clay soil then dig in some gravel. You are planting in pots, raise the pots and make sure they have drainage holes. Potatoes like sunshine (like me!) so don't grow them in a shady corner. Always water the base of the plant not the foliage. Remove flowers when they appear to put more energy into the tuber the plant is creating. 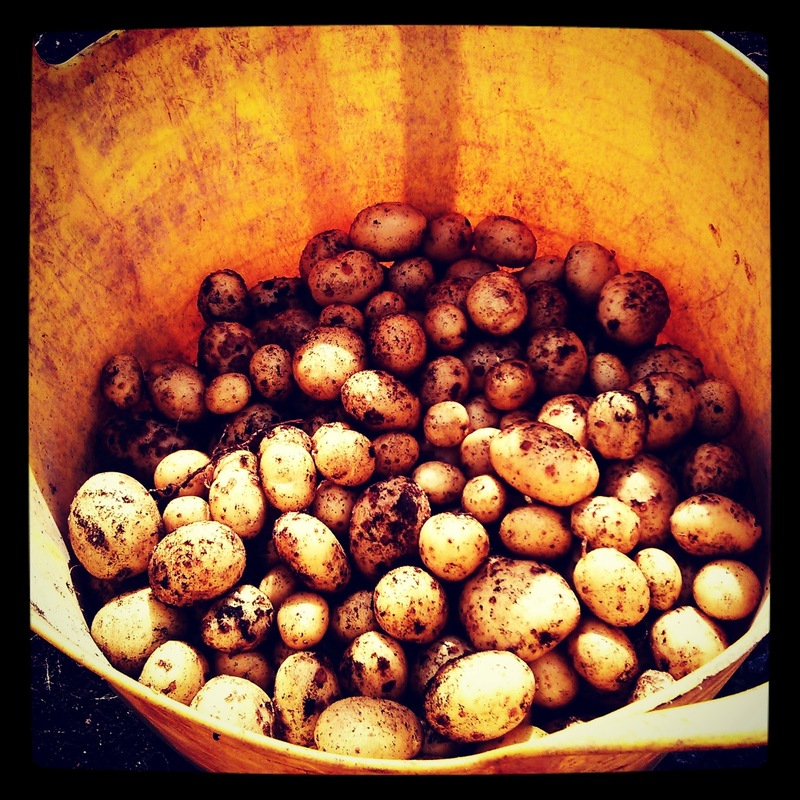 Dig up your potatoes on a dry day and leave them to dry in the sun for an hour.